Honestly, it is pretty hard to get excited about Japanese food these days in Vancouver. One could probably count on one hand the really good spots (which are generally Japanese-run, with a few exceptions). 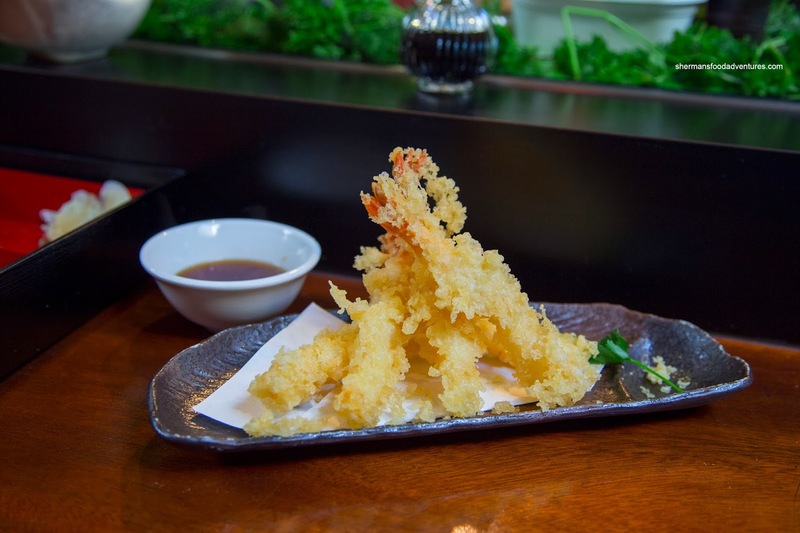 Hey, I'm not trying to be a food snob here because there are some really good value Japanese joints in the city, but I'm really talking about the ones you can differentiate from the rest. Kishimoto on Commercial falls into that category, but I've never actually gotten in because they are that busy. Finally, Whipping Girl and I made it in, albeit sitting at the sushi bar. 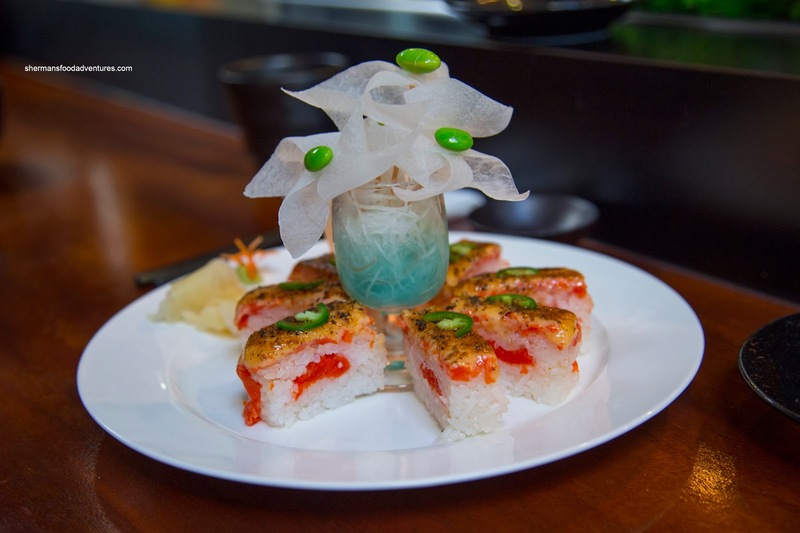 If you are familiar with Miku's Salmon Aburi Oshi Sushi, then the one at Kishimoto will look like a mirror image - except less expensive. However, in our opinion, every bit as good with beautiful salmon and nicely textured & flavoured sushi rice. I found the torched sauce to be creamy with a mild flavour accented with a good level of acidity. Even something as simple as Spicy Agedashi Tofu was well-prepared. The silky tofu was encased in a lightly crispy exterior. The dashi sauce was flavouful and sweet with a drizzle of spicy sauce on top. 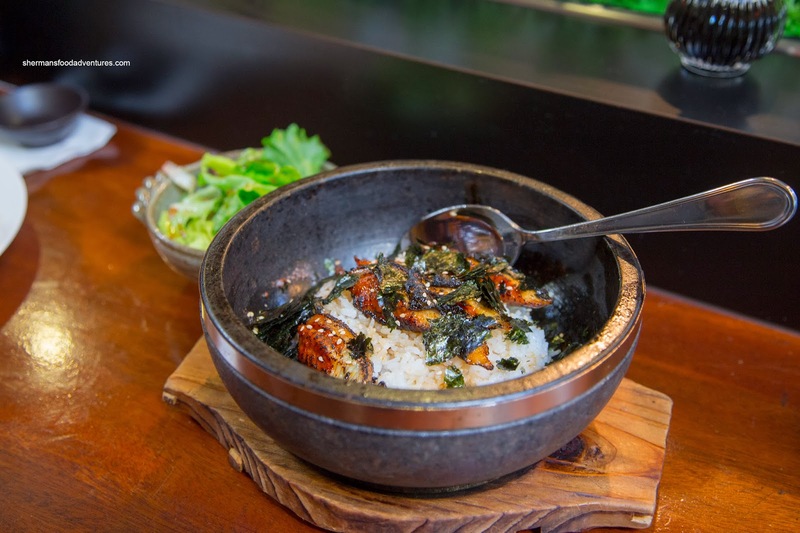 We really liked the Unagi Ishinabe as it was served in a smoking hot stone bowl. Hence, the chewy rice (when squished against the sides) formed a wonderful crispy smoky crust. The generous portion of unagi was buttery soft with a well-charred and caramelized exterior. Again, a relatively simple dish elevated by proper execution. To get a mix of items, we shared the Sashimi & Sushi Box next consisting of salmon, tuna and toro sashimi; ebi, tuna and salmon nigiri; 1/2 California Roll and 1/2 BC Roll. 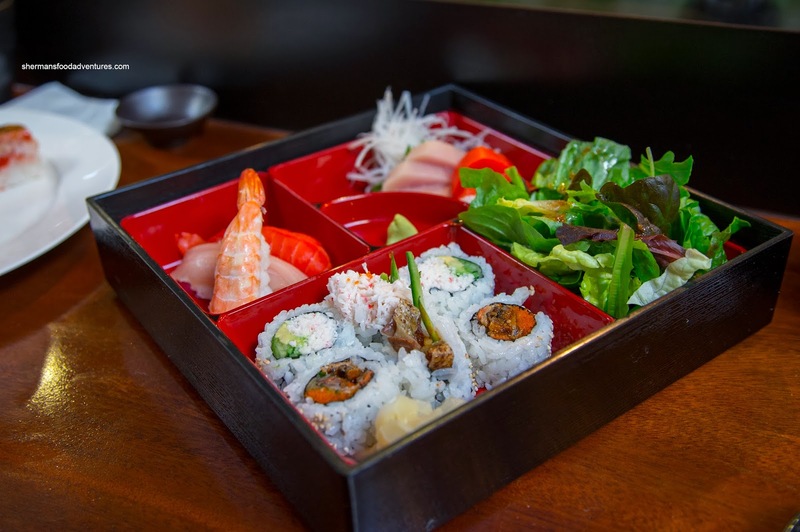 Carefully prepared with great ingredients and properly-made sushi rice, there was nothing to complain about here. Lastly, the Prawn Tempura was on point served piping hot. The light and airy battery was crisp and not greasy at all. Inside, each prawn was buttery exhibiting a light snap. 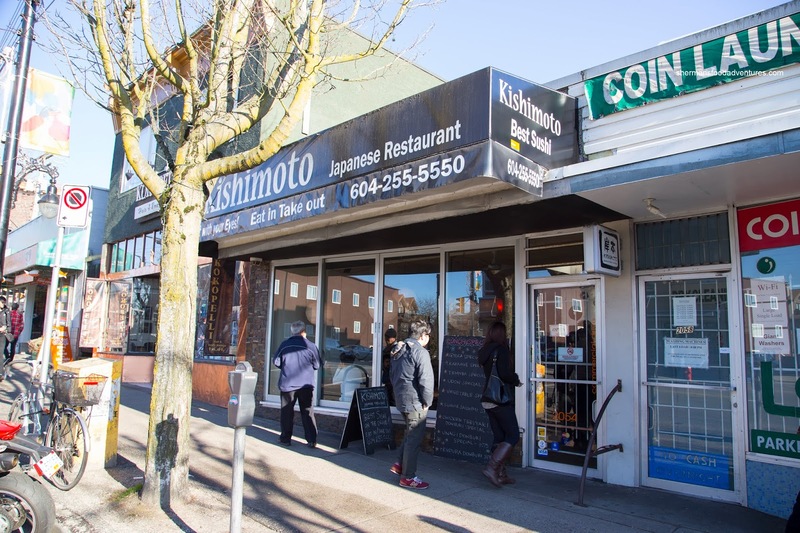 As you can probably ascertain, we thoroughly enjoyed our lunch at Kishimoto where we were planning our next visit as we ate. 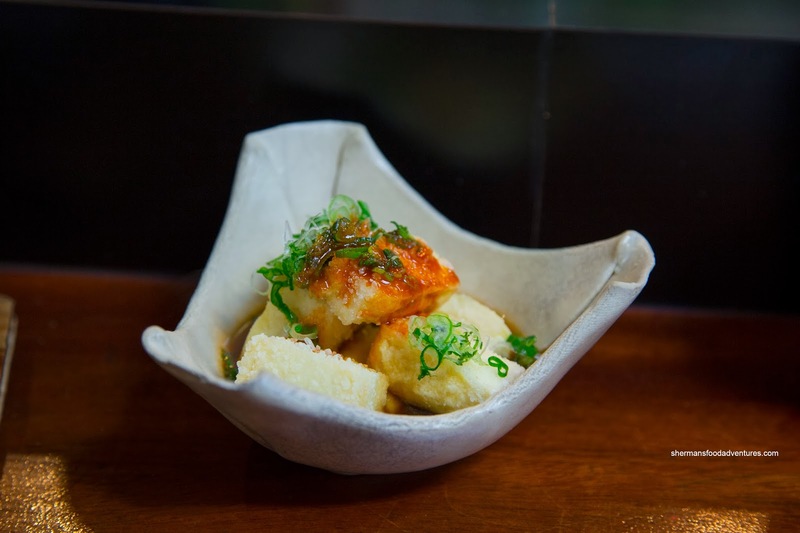 This... my friends is an example of how Japanese food can be exciting again, where execution, flavours and visuals combine to offer up an eating experience worth remembering.